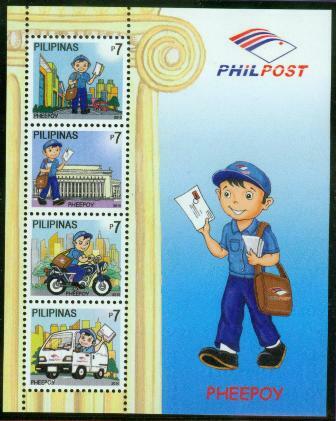 “Pheepoy” the lovable mascot of the Philippine Postal Corporation (PhilPost) has appeared on several occasions at PhilPost which started during last year’s celebration of its 110th anniversary. A project of Annabel Erfelo of the Office of the Assistant Postmaster General for Marketing, the PhilPost has lined up several media appearances to attract public attention and promote the services of the postal service. Postmaster General Hector R.R. 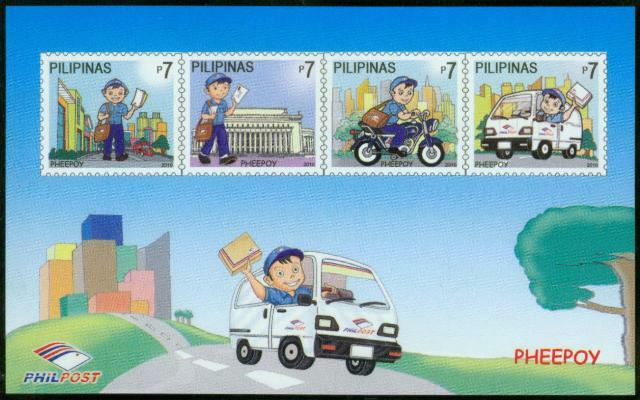 Villanueva said that Pheepoy personifies an honest and dedicated postman, whose primary goal is to deliver the mails rain or shine anywhere in the country and around the world, to the satisfaction of the mailing public. “The mascot is also a way of reaching out to kids and families that letter writing is the best tool to communicate and interact in the light of modern technology,” Villanueva added. Representing the more than 13,000 postal employees in the country, “Pheepoy,” personifies an honest, ever dependable and dedicated postmen. His outgoing spirit, high energy and passion also represent the ideal qualities of every PhilPost employee. 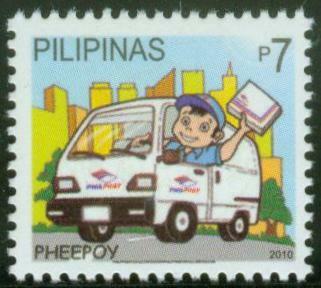 Kids (and kids at heart) can visit www.philpost.gov.ph to check Pheepoy’s character profiles and activities.